I remember when everyone wanted that distressed look in jeans. Now, anything goes, and while distressed jeans are still hot, you also want some that look fantastic and new. Distressing them was easy, keeping them looking new, not so much. This video is for every mom who wants to keep her family’s jeans looking great as long as possible—even if when they’re hand-me-downs for the next child in line. One of the tips that I found fascinating was turning them inside out when washing them. When I take my jeans off at night, they often turn inside out in the process and when I was loading them in the washer, took a few minutes to turn them right-side out. 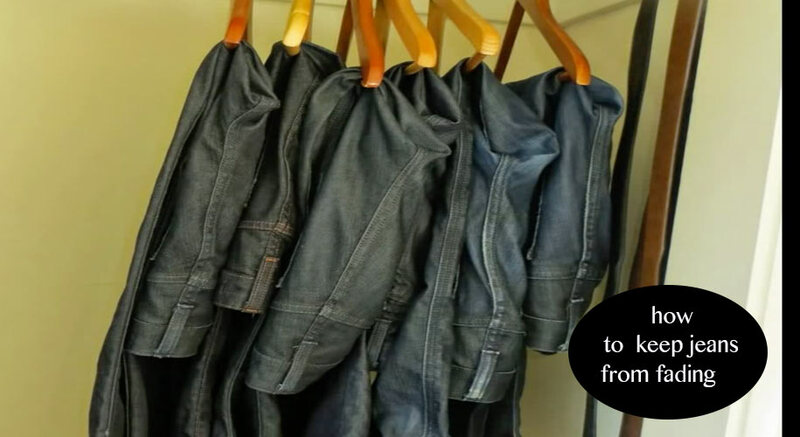 Now I’m not only saving my jeans; but I’m also saving time in the process. This video was a super hit in my eyes if for no other reason than that one tip.